American jazz alto saxophonist, clarinetist and flautist. Born : June 01, 1924 in Medford, Massachusetts..
Died : April 10, 2012 in Sag Harbor, New York. 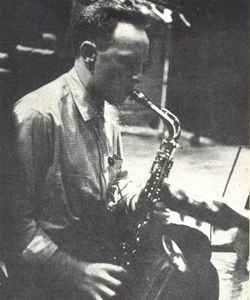 Hal worked in the big bands of Les Brown, Woody Herman (1943), Boyd Raeburn (1944-'45), Alvino Rey (1946), Buddy Rich, Claude Thornhill (1948-'49), Terry Gibbs, Elliot Lawrence and Many others. Recorded nine albums (1955-1958) as a leader.